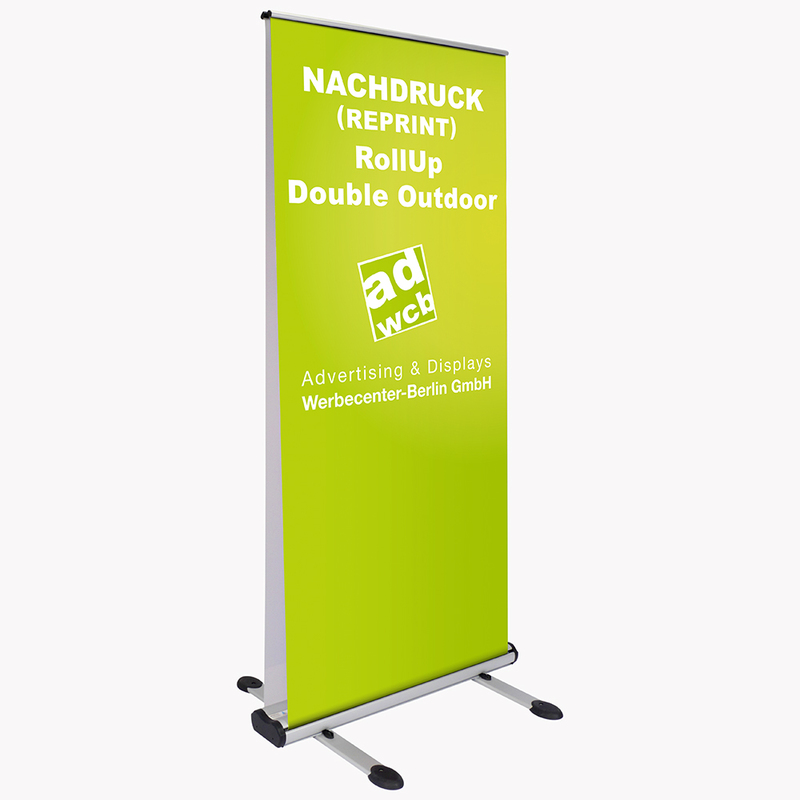 Reprint for your existing retractable display "Double Outdoor". Your artwork will be printed on PVC-material. Reprint for your existing retractable display "Double Outdoor". Your artwork will be printed on PVC-material. For displays not bought at our company, we need a technical specification sheet. Depends on intensity of solar radiation and place of installation: in average two years, in maximum four years. In extreme cases one year.